It's a usual business model for many modern horror movies of recent years to have cheap production costs that get accompanied by a reasonable advertising budget. Oftentimes, the latter can be multiple times higher than the actual production costs but that's what drives fans to go see the movie in cinemas. Sometimes, this generates such a financial gain that the mega blockbusters can only dream of. This concept was what producer Jason Blum and director Joe Carnahan (The Grey, among others) had in mind when they wanted to transport it to another genre: the action comedy. In their film Stretch, Patrick Wilson plays a limo driver who escorts an eccentric billionaire, played by Chris Pine, over the course of a night and gets involved in several endeavours that get wilder and wilder. The film's cast is enriched with many well-known guest stars and has cost less than $5 million. That package should get fans excited, shouldn't it? Universal was initially set to pick up the distribution rights but they have a different opionion on how to handle the film. They don't believe that an advertising investment of $20 to $40 million is necessary to make the film a success. The low production costs can be hauled back in quite easily without that. There are enough famous names in it to sell it on that premise alone. Basically, Universal is shying away from trying something new, altough that "newness" only lies in the different genre while it is otherwise already tried and tested. Therefore, Stretch is somewhat in a limbo and nobody really knows how to sell it to the audiences, since no other studio was willing to finance the ads and distribution. All of this already happened early in 2014 when the March release date was subsequently cancelled. 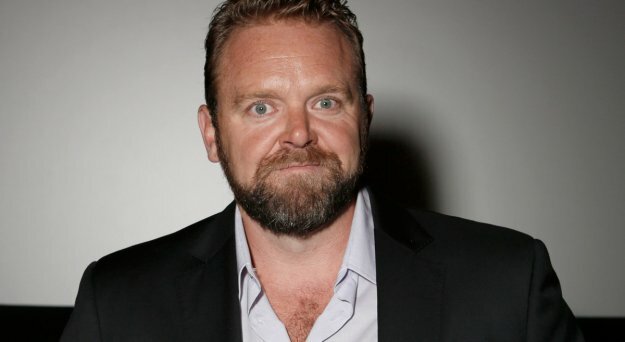 In the meantime, Joe Carnahan sat down with Collider and shared the info that his film is going to be recut and will travel to festivals in autumn. But the film itself is still awesome, according to him. Just like it was earlier. So why the recut? Was the quality the true reason why Universal passed on it? Or was is simply too wild for a mainstream audience? Chris Pine said in an interview jokingly that the film's first 15 minutes could ruin his career. Or maybe that wasn't a joke after all? Will the film become more mainstream now? We'll probably know more when winter is coming.